It is rare in Korea to see a special effects technician with a Ph.D. such as Choi Kwang-jin working on movies or animations. 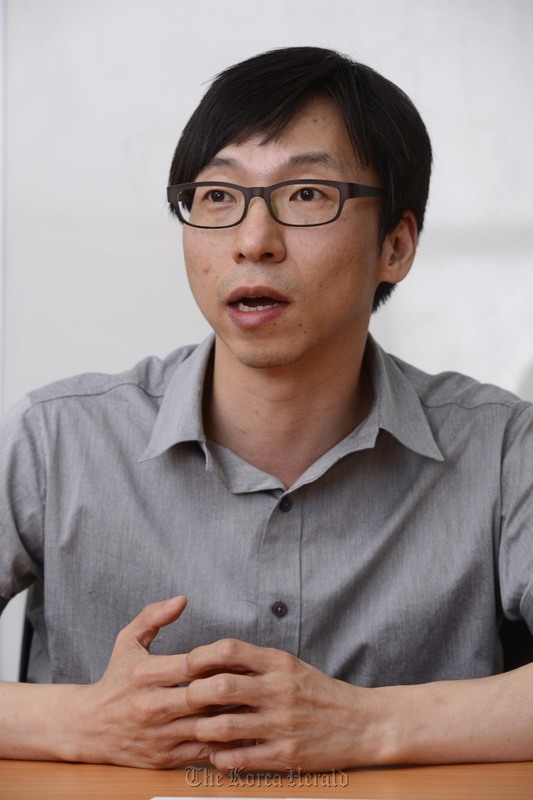 The chief technology officer of FXGear, a Korean visual effects software firm, is the exception in an industry generally seen as beneath those with higher degrees. But the situation is different in the United States. Studios such as Industrial Light & Magic, a special effects house founded by Star Wars producer George Lucas, or animation giant Pixar recruit professors or Ph.D. graduates from top colleges to work on the research and development of VFX software. Choi, who earned his doctorate in electrical engineering from Seoul National University, also noted that one of the inspirations for the bullet time effects in the sci-fi movie “The Matrix” came from a university professor. “People in the movie industry first looked at me with a question mark on their faces, asking, why I am in this industry instead of being a professor?” Choi told The Korea Herald. And FXGear is looking to the U.S. market to further show what it can do in VFX software. Seeing tremendous growth opportunities in the world’s largest content and technology market, the company founded by Choi and his friend and CEO Lee Chang-hwan, who also has a Ph.D. in electrical engineering, would have the chance to be seen as a normal firm with unique software, rather than an unconventional company. As it gears up for expansion, the company plans to seek global strategic investors via a stake sale to introduce a line of VFX software, which can be used to make digital clothes and hair wrinkle, tear or fly, among others. The company is also aiming to develop more software for other industries such as education, defense and fashion, while forming partnerships with overseas tech or content companies. FXGear and Intel are looking at ways to optimize their software based on the global chipmaker’s central processing units, Choi noted. FXGear’s software programs such as Qualoth, a clothing simulator, and FXHair, a hair simulator, have been used for Dreamworks Animation’s “Shrek 4” and “Madagascar 3.” Also, game companies such as NCsoft, SmileGate and Lion Games have used its software. For instance, the clothes Shrek wears need to flap, wrinkle or rip as the ogre runs, jumps or tumbles into the mud to create a sense of realism even though it may be an illusion, the CTO said. It has new software coming out, which makes water effects that can outperform shots, for instance, in “X-Men: First Class” when Magneto uses his magnetic power to bring a submarine out of the ocean. This software, called FluX, will be out in August when SIGGRAPH, a computer graphic and interactive content event, opens in Los Angeles. Overseas studios came to know FXGear and its software mostly through word of mouth, Choi said. But the tech firm seeks to change this by being more active in marketing its products and services. Its global expansion is part of efforts to be valued fairly and properly based on its potential, the tech chief said, noting that Korea’s software industry is still relatively undervalued. And Choi said he believes the company could earn a fair value in three years. That is when it would aim to launch an initial public offering on the KOSDAQ for its shareholders, which include SoftBank Ventures and Nexon. FXGear’s biggest shareholder is SoftBank Ventures, part of Japan-based conglomerate SoftBank, followed by company founders Lee and Choi, and Nexon, Korea’s biggest online game firm. When asked whether it could consider selling the company, Choi said that it sees an IPO more “ideal” than a potential takeover by a third party. But he reiterated that it wants to wait until the company has achieved some of its business plans overseas and the industry is valued properly.